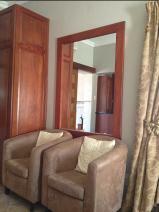 We have fourteen spacious luxury rooms, all with en-suite bathrooms, king size beds, air conditioning, 28 channels DSTV, fridge, coffee station, well lit dressing table with hairdryer and a safe for your valuables. 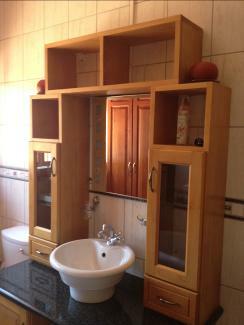 Our rooms have only quality furniture and finishing's. Our dining area and main lounge have big screen TV’s with DSTV. We have a bar in the dining area which is situated next to the pool. 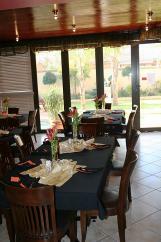 We also have braai facilities at the pool within private gardens. 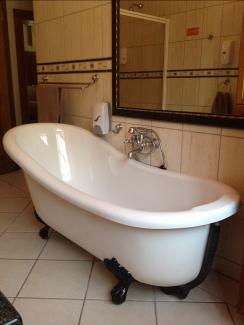 We offer bed and breakfast, licensed bar, safe secure parking, swimming pool and a Jacuzzi. Our staff are professionally trained and very friendly. We are situated one minute walking distance from the landing strip, so we can accommodate pilots and families flying in for the day. This landing strip has recently been upgraded and is tarred to accommodate small aircraft. We are ideally situated for hunters where they can leave their family to enjoy all the luxuries of the small city environment while they are out hunting during the day.